KnitPro Bamboo needles are made from high quality, environmentally friendly Japanese bamboo. These needles are sustainably produced in fabulously finished fine bamboo for a naturally satisfying knitting experience. 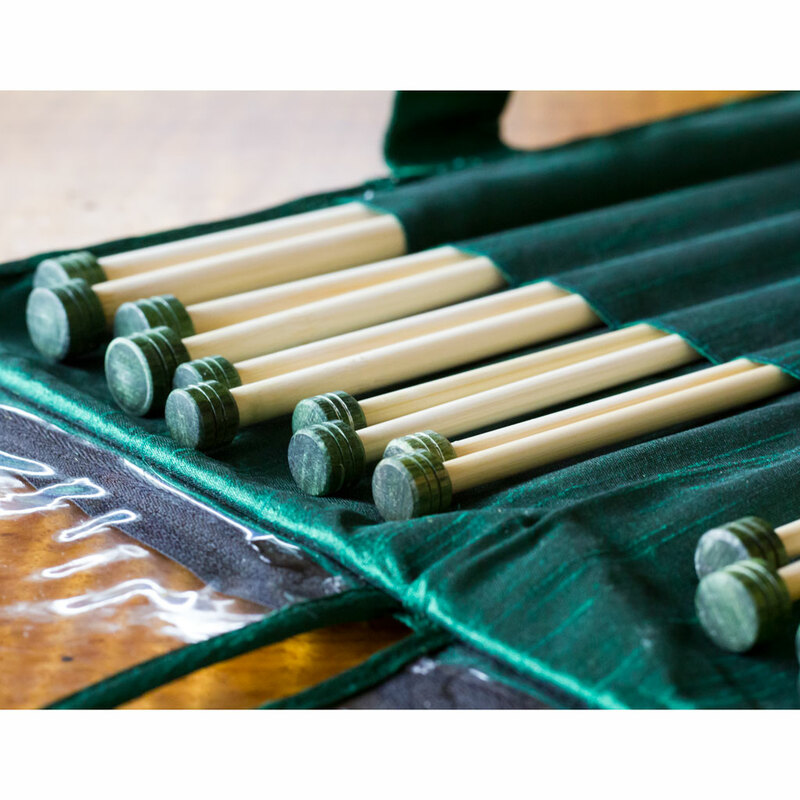 The green case perfectly complements the ivory needles and sustainable, eco friendly nature for convenient, beautiful storage. 3mm, 3.5mm, 4mm, 4.5mm, 5mm, 5.5mm, 6mm, 7mm, 8mm, 10mm. This product was added to our range on 22nd February, 2018.